sold A BIG CONGRATULATIONS TO BEN AND HAYLEY COVE. HER DAM was a great show winning western pleasure mare, outstanding producer, AND a full sister to the infamous MULTI - CONGRESS WESTERN PLEASURE CHAMPION, ZIPPOS DUE CLAW. Her half sisters, SHE DUE GOOD and WERETALKINRADICAL, are legends in the AQHA and NSBA in America, outstanding Western Pleasure champions producing the likes of SHES INVITED, POTENTIALLY GOOD, RADICALLY FIRED UP, ONE N ONLY, CERTAINLY INSPIRED, HES INVITED. All black type pedigree performers. Full sister - I ONLYWANNABEWITHYOU is a European National Pleaseur Champion 2012 + 2013. Love was unshown due to injury, though she was started under saddle and had all it takes to make it in the big time. Started By Jeff Long and Liz Hay, they loved her and were sad that she did not stay sound due to injury. #1 AQHA LEADING SIRE 5 YEARS IN A ROW Invitation Only topped the sire rankings, he was the #1 sire for all AQHA’s Performance Divisions. 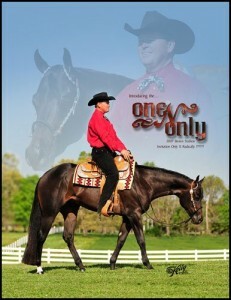 THE #1 AQHA LEADING PERFORMANCE SIRE FOR 2010, 2009, 2008, 2007 and 2006. 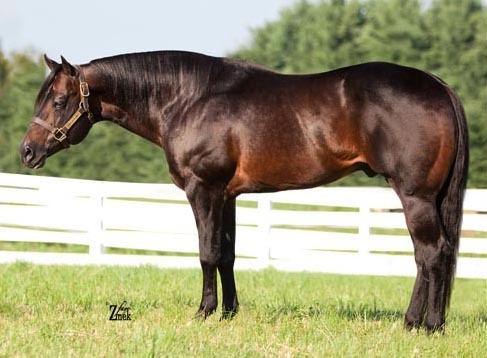 THE #1 AQHA LEADING YOUTH HALTER SIRE FOR 2010, 2008 and 2007. 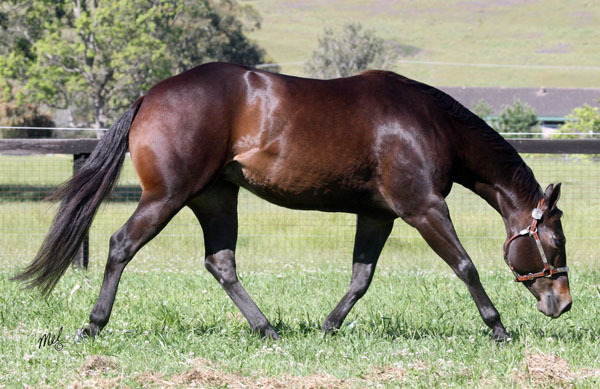 THE #1 LEADING SIRE OF MONEY EARNERS FOR 2009, 2008, 2007, 2006, 2004 and 2003. 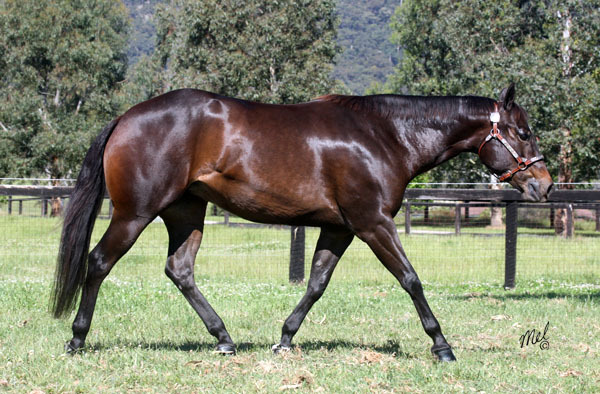 Superior Western Pleasure : ~ : Inc: 4TH Tom Powers 3yr old Ltd Non Pro Western pleasure stakes. 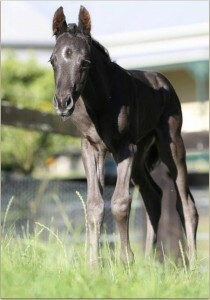 Half sister to SHE DUE GOOD, Congress Champion and Reserve Congress Champion. DUE ME IN GOLD, by Zippos Old Gold. NW Emerald 2yr old open MASTERS WESTERN PLEASURE CHAMPION. Performance Register of Merit – open + Performance Register of Merit (2009-Amateur). DO IT ONLY, by Invitation Only. Performance Register of Merit. 17.0 Performance Points;Halter Points; 1 reserve Grand Championships, 2 Reserve all Round Championships. 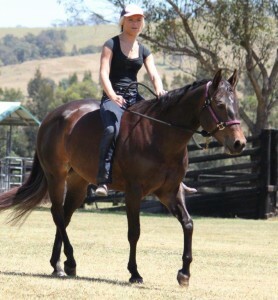 Skinny Zipping, 2006 Sorrel Gelding by Zippos Old Gold. SHE DUE GOOD, 1990 Brown Mare by ZIPPOS MR GOOD BAR. 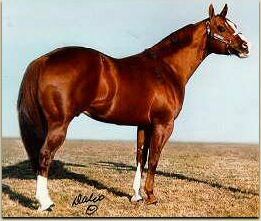 WERETALKINRADICAL, 1997 Brown Mare by RADICAL RODDER. ALL AMERICAN CONGRESS 2YO OPEN WESTERN PLEASURE CHAMPION. NSBA ALL TIME LEADING DAM – 7TH PLACE. Superior Western Pleasure (2001-Open). +Superior Western Pleasure (2001-Amateur). Performance Register of Merit (2001-Youth)+Performance Register of Merit (2000-Amateur). +Performance Register of Merit (2000-Open). RADICALLY FIRED UP, 2004 Brown Mare by CANT FIRE ME. TOP 10 REICHERT CELEBRATION 2YO $250,000 OPEN WESTERN PLEASURE. World Show Jr Western Pleasure /6th Place (2009-Open +Select World Show Western Pleasure /4th Place (2009-Amateur). Performance Register of Merit (2009) -Amateur and Open. RADICALLY FIRED UP and Rusty Green edged a win in the Markel Insurance Western Pleasure Maturity over A Certain Vino and Karen Hornick. You Light My Fire, 2004 Brown Gelding by CANT FIRE ME. ONE N ONLY, 2007 Brown Stallion by Invitation Only. 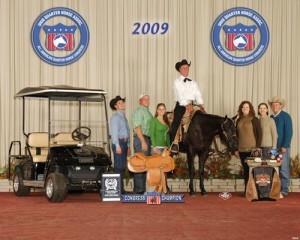 2009 REICHERT CELEBRATION $250,000 EQUINE SPORTS MEDICINE 2YO WESTERN PLEASURE RESERVE CHAMPION. World Show 2yo Snfl Bit W Pleasure /4th Place (2009-Open). Earnings of over $50,000 in futurity prize money. 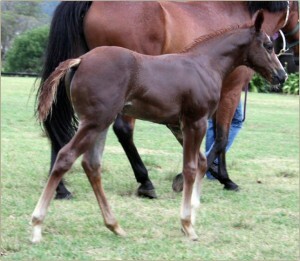 CERTAINLY INSPIRED brown mare 2007 by CERTAIN POTENTIAL. ALL AMERICAN CONGRESS 2YO OPEN MASTERS WESTERN PLEASURE CHAMPION. ALL AMERICAN CONGRESS 3YO WESTERN PLEASURE FUTURITY CHAMPION. TOM POWERS 3YO INTERMEDIATE OPEN WESTERN PLEASURE CHAMPION. 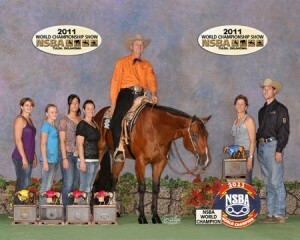 NSBA WORLD SHOW BREEDERS CHAMPIONSHIP OPEN WESTERN PLEASURE CHAMPION. ARTICLE FROM THE AMERICAN QUARTER HORSE JOURNAL BELOW. Rusty Green and CERTAINLY INSPIRED won the 2-year-old western pleasure AQHA WORLD CHAMPIONSHIP title.The horses might have only been youngsters, but there were already some big names in the 2-year-old western pleasure finals on November 18. There was Rode Rageous, the sorrel gelding who won the 2009 Reichert Celebration and the Breeders Classic Futurity 2-year-old open western pleasure title at the National Snaffle Bit Association World Championship Show, and One N Only, who was the reserve Reichert Celebration champion. In the arena were also several blue-blooded offspring: Born Blazed out of Born Lopin, One Hot Moonlight out of Zippo By Moonlight whose dam is Ima Blister Bug, and VS Code Red, whose mother is the legendary mare Vital Signs Are Good. In the field as well was Certainly Inspired, the unanimous 2009 All American Quarter Horse Congress Masters western champion. And when it came down to the last horse standing, it was the pretty brown mare Certainly Inspired, who was placed first by all five judges. CERTAINLY RADICAL 2009 Brown mare by CERTAIN POTENTIAL; see above Certainly Inspired (full sister to Certainly Radical) and One N Only. $20,000 as a two year old. ALL AMERICAN CONGRESS 2-YO, LTD OPEN WESTERN PLEASURE 3RD PLACE. Superior Western Pleasure (2005-Open) + Superior Western Pleasure (2002-Youth). Performance Register of Merit (2001-Open). + Performance Register of Merit (2001-Youth). Res World Champion Western Pleasure (2003-Youth).+ Res World Champion Western Pleasure (2002-Youth). Other Earnings: AQHA Incentive Fund $3,849.60; National Snaffle Bit Association $12,094.78. HES INVITED 2004 Brown Gelding by BLAZING HOT. POTENTIALLY GOOD, 2000 Brown Gelding by POTENTIAL INVESTMENT. ALL AMERICAN CONGRESS 3-YEAR OLD HUNTER UNDER SADDLE NON PRO CHAMPION + LIMITED NON PRO RES CHAMPION. Performance Register of Merit (2005-Open) + Performance Register of Merit (2004-Youth) + Performance Register of Merit (2004-Amateur)Performance Register of Merit (2008-Youth). Superior Hunter Under Saddle (2005-Youth). Zippos Misty Due, 1979 Brown Mare by ZIPPO PINE BAR. 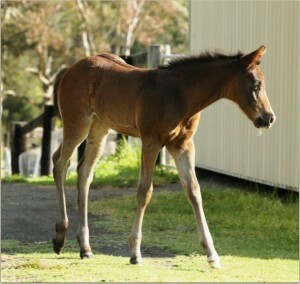 See 1st Dam (left) for Foals. Zippos Suzie Que, 1981 Sorrel Mare by ZIPPO PINE BAR. SUSIE DUE GOOD, 1988 Sorrel Mare by ZIPPOS MR GOOD BAR. ALL AMERICAN CONGRESS OPEN WESTERN PLEASURE 3RD PLACE. Performance Register of Merit (1992-Amateur). Performance Register of Merit (1991-Open). Performance Register of Merit (2007-Amateur ) + Performance Register of Merit (2001-Amateur). Zippos Good Que, 1989 Sorrel Mare by ZIPPOS MR GOOD BAR. DO GOOD MISTER, 1994 Sorrel Gelding by AN AWESOME MISTER. All Around High Point Gelding (2004-Open) + All Around High Point Horse /4th Place (2004-Open) + All Around High Point Senior Horse /3rd Place (2004-Open). Halter Register of Merit (2004-Youth). + Performance Register of Merit (2004-Youth). + Performance Register of Merit (2002-Youth) + Performance Register of Merit (2001-Youth). + Performance Register of Merit (2000-Youth). Superior Western Riding (2004-Open).Superior Western Pleasure (2001-Open).Superior Showmanship (2003-Youth).Superior Trail Horse (2004-Open). Performance Register of Merit (1997-Open). 592.0 Performance Points; + 5 Performance Register of Merits; + 4 Performance Superior Awards; 1 Performance Championship; 27 All Around Championships; 25 Reserve All Around Championships; 1 Halter Register of Merit. Other Earnings: AQHA Incentive Fund $7,005.52; National Snaffle Bit Association $105.95. World Show Western Horsemanship /4th Place (2005-Amateur) + .World Show Showmanship /9th Place (2005-Amateur). Performance Register of Merit (1997-Open) + Performance Register of Merit (2005-Amateur).+ Performance Register of Merit (2005-Youth). + Halter Register of Merit (2002-Youth). + Performance Register of Merit (2002-Youth. + Performance Register of Merit (1999-Youth).+ Performance Register of Merit (1998-Youth). High Point Trail Horse /5th Place (2004-Youth). High Point Western Horsemanship /8th Place (2004-Youth). All Around High Point Horse /5th Place (2002-Youth). Justin Rookie of the Year 12-14 (2002-Youth). Performance Register of Merit (1996-Amateur). Performance Register of Merit (1995-Youth). Performance Register of Merit (1995-Youth). Performance Register of Merit (1992-Amateur). Performance Register of Merit (1986-Amateur). High Point Western Riding 5th Place (1994-Open). High Point Sr Western Riding 5th Place (1994-Open). High Point Western Riding 6th Place (1993-Open). High Point Sr Western Riding 5th Place (1993-Open). Open). High Point Sr Western Riding 7th Place (1992-Open). High Point Western Riding 9th Place (1991-Open)High Point Sr Western Riding 7th Place (1991-Open). Performance Register of Merit (1991-Amateur). Performance Register of Merit (1990-Amateur) Performance Register of Merit (1988-Youth). Performance Register of Merit (1988-Amateur).Performance Register of Merit (1986-Open). Superior Western Pleasure (1990-Amateur).). Superior Western Pleasure (1987-Open). Superior Western Pleasure (1987-Youth). Earned: 1,001.0 Performance Points; 10 Performance Register of Merits; 6 Performance Superior Awards; 3 Reserve World Championships; 13 All Around Championships; 10 Reserve All Around Championships. 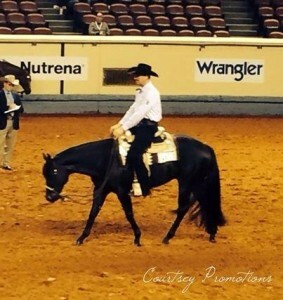 Other Earnings: AQHA World Championship Show $9,180.60; National Snaffle Bit Association $36,996.29. 2013 NSBA + CONGRESS Open 2yo reserve Western Pleasure champion. 2013 AQHA Bronze trophy 2yo Western Pleasure. Happy to announce that Love has a positive test to HF Somethin Hot. Jess decided its too hot to walk her back to the pasture, so she rode. Love was happy to oblige, not having been ridden for a couple of years made no difference, Halter n all… This is what great nature does for you.